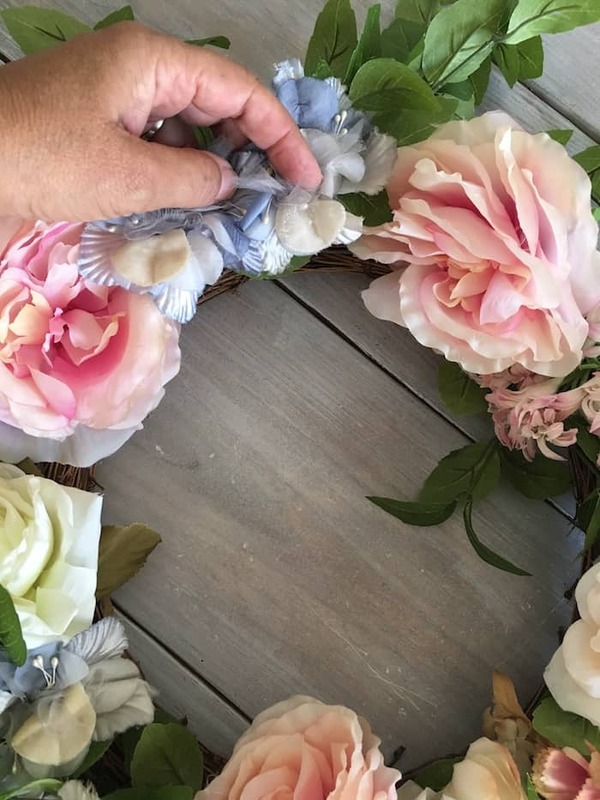 If you love a deal as much as I do, you won’t want to miss out on these tips for making a thrifty wreath look elegant! I love to shop…and really shop, as I look around quite a bit before I buy. Knowing what you want and sticking to whatever your budget allows is an art form that I feel I’ve perfected over the years. How about you? Thrifty truly can look elegant and I feel that if I’ve mastered anything (besides photography:-) that might be my calling. No shame in my thrifting game! A great way to save on seasonal items is to shop for them after the season is over and the stores mark down inventory in hopes of a sellout. 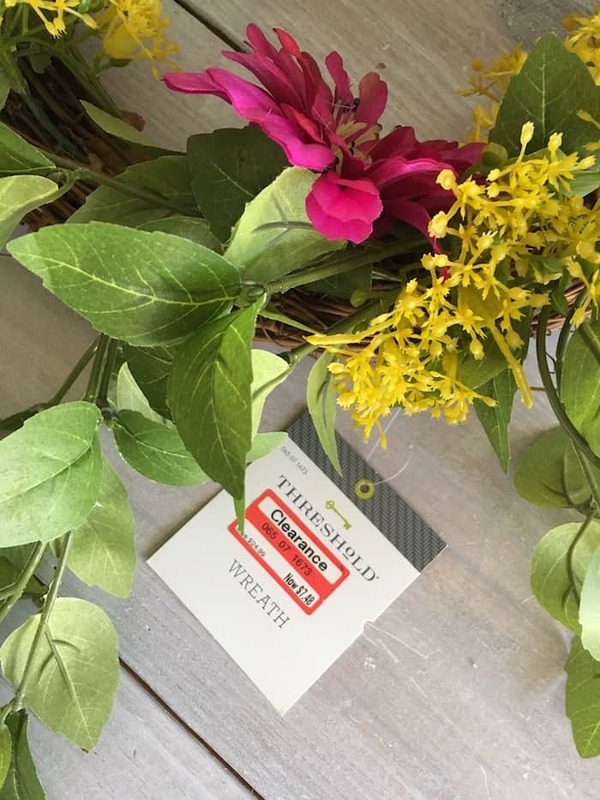 So last year I found some spring grapevine wreaths at Target just when Easter was over and the summer fun in the sun products was hitting the stores. I totally scored! I am not above buying on clearance, especially at Target where I head for the dollar bins first. For the price, I felt that it would do no harm in cutting them up and taking out the loud silk magenta daisies. And the yellow….whatchamacallits! 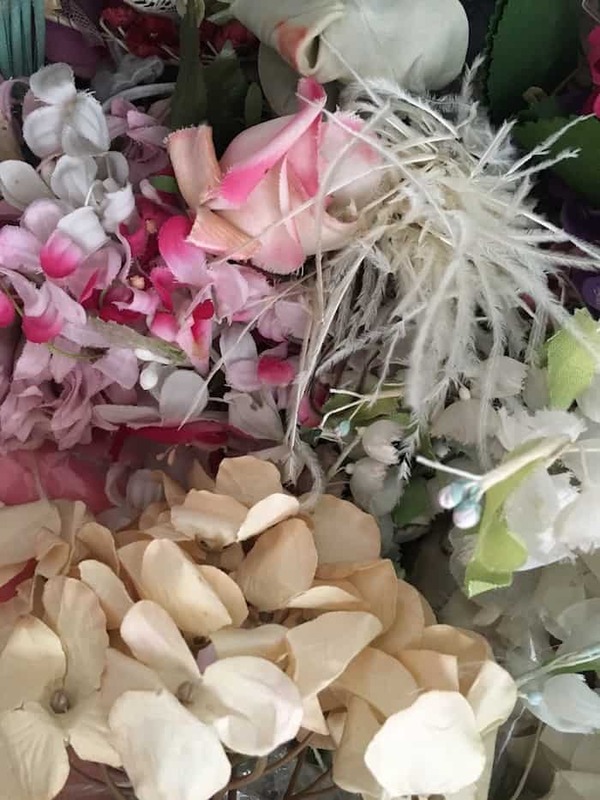 I do use silk flowers, but not poor quality ones. It makes a difference my friends! 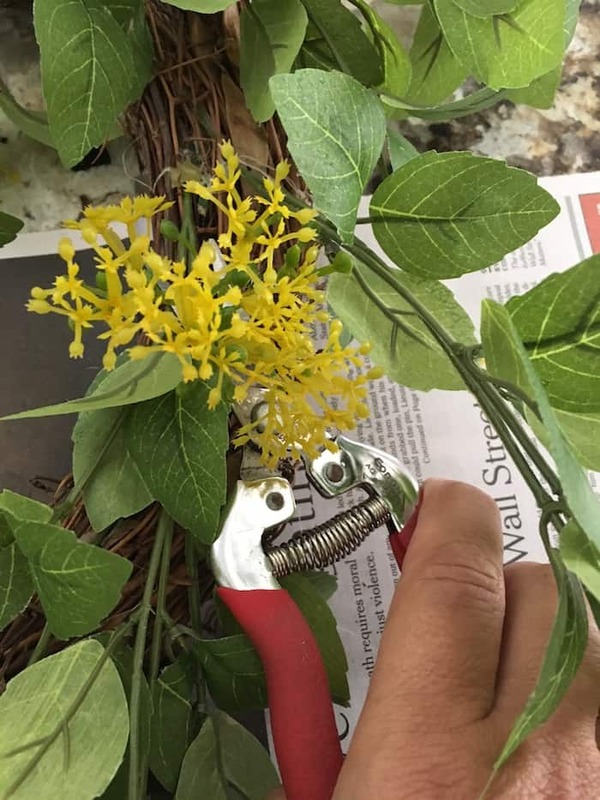 My trusty garden clippers came out of the drawer and were happy to snip off the less than stellar plastic parts. Dissecting and creating is so much fun! I decided to use some vintage millinery. I’ve been collecting and hoarding it for years. Vintage millinery is still relatively easy to find and I suggest looking for old church hats when you are out thrifting or search on Etsy or eBay. 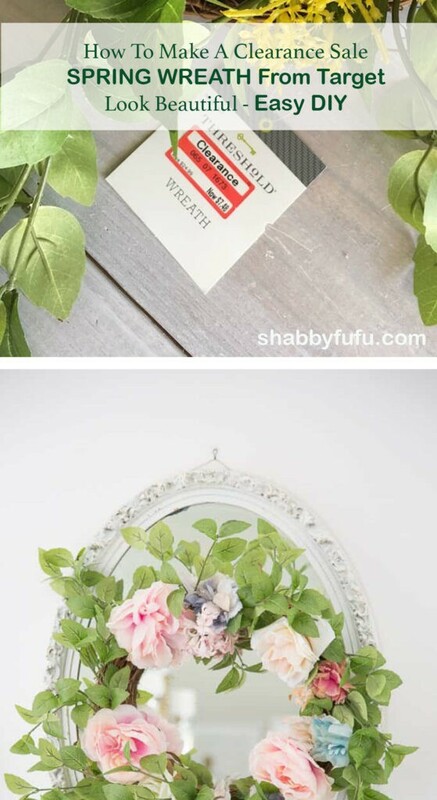 It’s not rocket science, I filled in the blank areas on the grapevine wreath with the vintage silk flowers. Whenever you work on anything artistic, try and create a flow of color to draw your eyes from one end to the next. 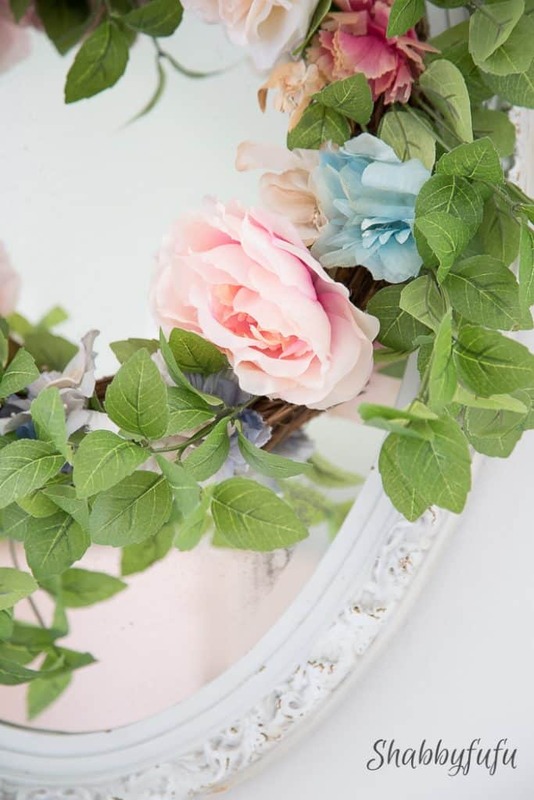 I’ve talked about FAUX FLOWERS before and back in the day I made a slew of mannequins for clients that were loaded with vintage millinery and fabulous silk flowers. So much fun! 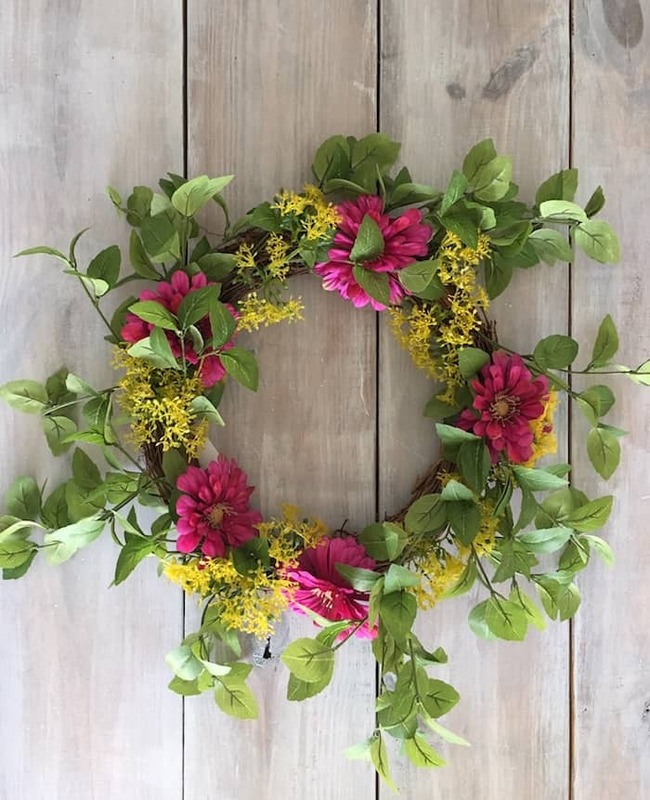 Look at how bright and beautiful this wreath is! I could literally just stare at it for hours. 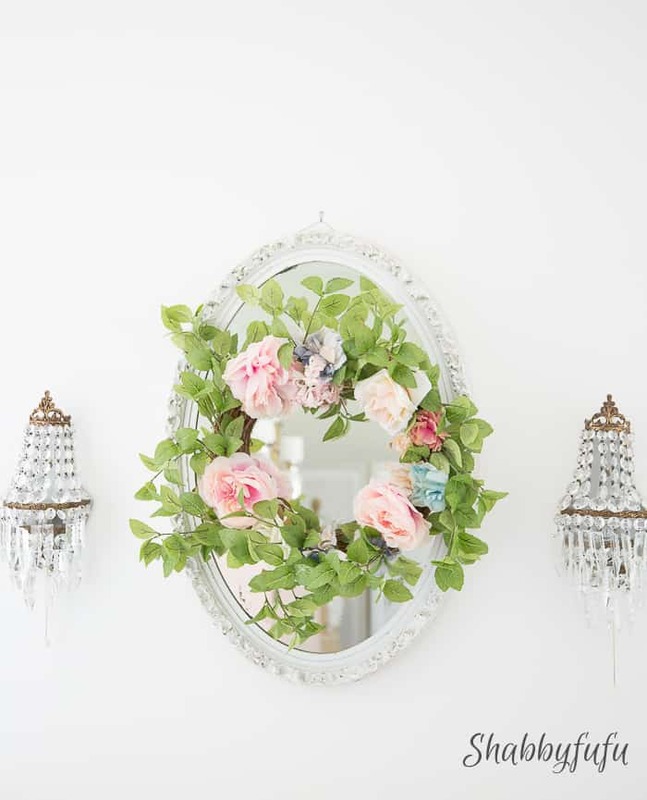 See how simple it can be to take a thrifty wreath and make it look elegant? There aren’t a lot of steps that have to be done if you keep your eyes open for the deals! Thank you for inspiring me. I still have my evergreen wreath from the holidays up. I have a heart wreath that I made years ago that is looking pretty sad and needs help. 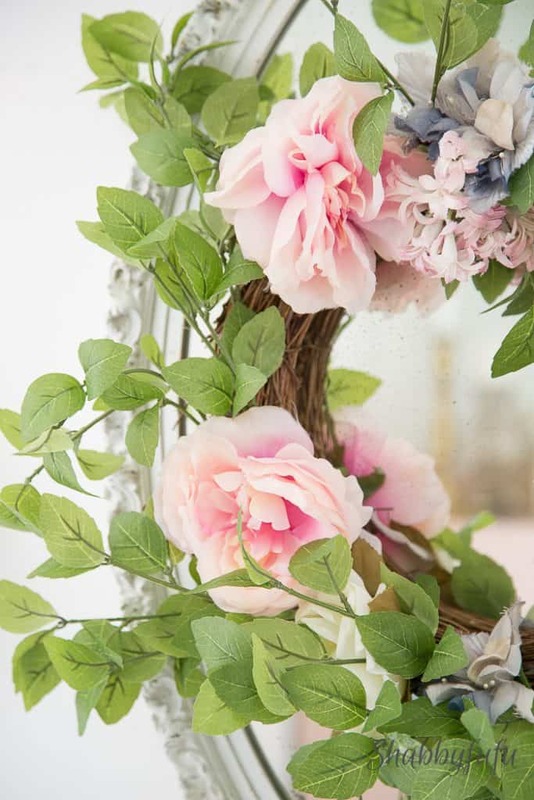 I think that by adding some green wispy viney sprigs into it, it will liven it up. And yes those yellow whatchamacallits (I call them whozeewotsits) needed to go. 😉 Thanks again Jan. You’re the best! 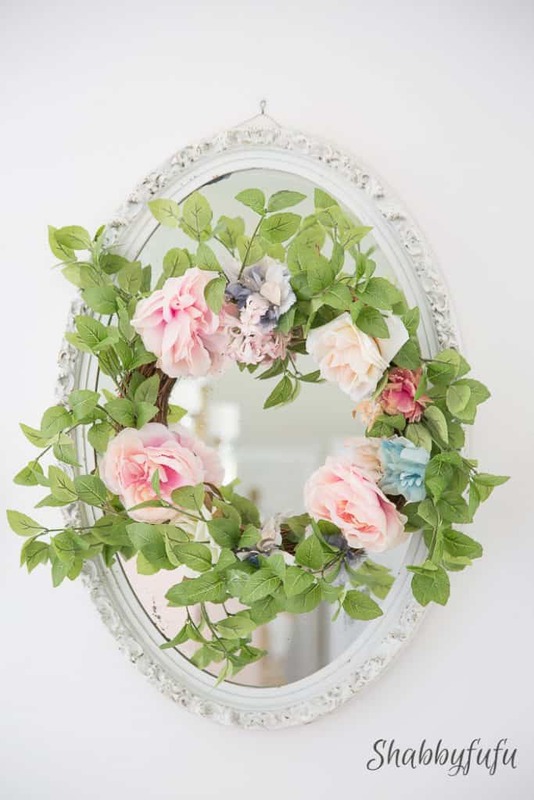 Hi Janet, Love the repurposed wreath, I too love French country, but, my husband thinks it is to feminen(sp??) If you are married,or?, how do you add in a bit of masculinity? I didn’t know about your mannequin making past! What a fun job! And your wreath is fantastic! Thanks for the tips.